First, little old me. Then, the Queen Mother. Now President Obama. Or, should I say, President O'Bama? The Emerald Isle is apparently the place to be right now and why not? Breathtaking cliffs, castles and greenery, nonstop rainbows, all with ample fáiltes from the warm and friendly people to boot. What more could you want? Plus, it's lambing season! Baaa! Lucky for this lady - I mean, for this cailín - I am recently returned from a memorable filmmaking trip in the west of Ireland, with stops in Clifden, Connemara, Ballinrobe, Galway, Lahinch and the Cliffs of Moher - or, as they are more widely known, the Cliffs of Insanity from The Princess Bride. See! The Cliffs of Insanity! Hurry up! Move the thing! And that other thing! And of course, ever dutiful to my more serious responsibilities as a Gastronomista hostess, I ate as much Irish cheese as I could. I admit, I've only ever had an Irish cheddar but on this trip, I was blown away by the taste and variety of some of the cheeses I tried. Every wheel was made by a family, or generations of a family, often on not much more land than a single farm. You don't get more farm fresh than that. 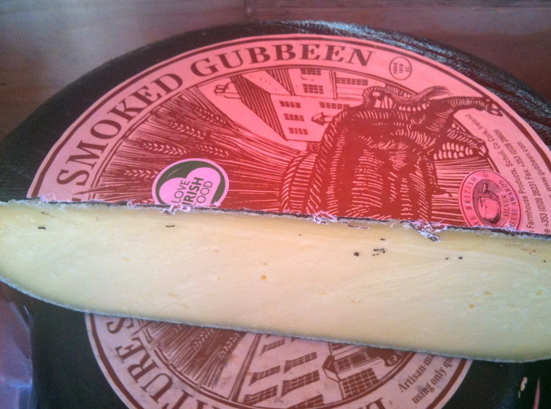 I stocked up on a Cashel Blue, straight from the farm, Gubbeen cheese from County Cork, famous for its washed-rind cheeses, and also some of the renowned Irish Cheddars. Sigh. The sigh heard round the world. Not all Irish cheeses are available in the United States, unfortunately - fie, FDA, fie!! - but a number of fine cheese purveyors carry a nice selection, including our friends at Murray's Cheese and The Bedford Cheese Shop. The aforementioned Cashel Blue. Buttery and creamy, nigh spreadable, with mild tang. 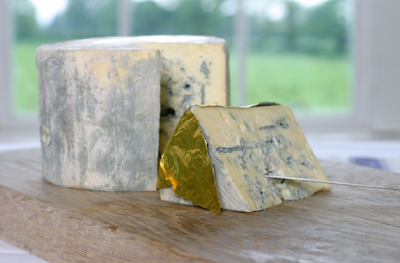 Ireland's first blue cheese, it's been made by a single family in County Tipperary since its development in 1984. The Bedford Cheese shop also carries Crozier, the sister blue made from sheep's milk rather than cow's milk. 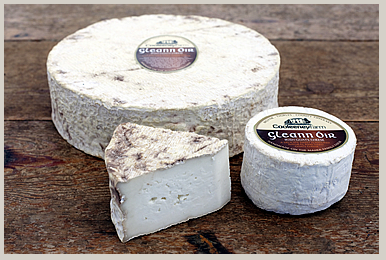 Also from County Tipperary, Gleann Oir is a nutty cheese made from goat's milk. The good folks over at Cooleeney Farm recommend trying it in a tartlet with red onions. Recipe here. 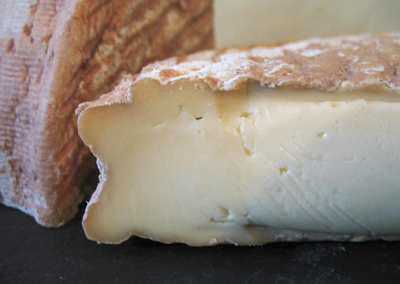 Ardrahan, handmade by the Burns family in County Cork, is super stinky, semi-soft honey-colored goodness. The size and weight of the wheels always vary because each one is made by hand. Really amazing with whiskey - Irish whiskey, of course! And finally, my personal favorite, Gubbeen. It means "small mouthful" -- wait, I'm sorry, what was that? Please excuse me, my mouth is full of cheese. Gubbeen Farm has been in the Ferguson family for five generations and, it should be obvious by now, when the Irish say family owned & operated, they mean it. A semi-firm washed rind cheese, it starts sharp and funky but smooths out, leaving a earthy flavor that goes perfectly with Guinness draft. Goes with Guinness. As do I. Too much cheese for Miss Ariadne. What an amazing trip - these photos are really lovely. Need to get to ireland! Yum Yum to the stinky semi-soft! gubbeen and guiness. you said it. Here's lookin at ewe, kid. Sorry, I couldn't help it.